Microsoft Dynamics NAV is the leading solution for VSEs (Very Small Enterprises) and SMEs (Small and Medium Enterprises) looking for a complete, easy to configure, intuitive and fast to implement ERP solution. Its advanced technology provides all the management functionality you need to manage and drive your business forward. Available in 80 countries, Microsoft Dynamics NAV has become the standard in the field of enterprise management with more than one million users worldwide. 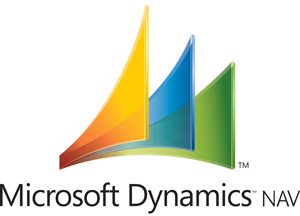 Microsoft Dynamics NAV adapts to your business functions within an integrated system. Thanks to a graphical interface similar to that of Microsoft Office applications, the product requires minimal training. All the business information you need for financial management, logistics, manufacturing, sales and marketing, project management, human resources and service management are centralised in one single database. With its role-based interface, it is easy to organise the various tasks and provide the users access to just the information they need to do their job. The solution adapts to each individual user by masking rarely used functionality, providing a clear role centre and an overview of upcoming tasks. Communication is also simplified thanks to integration with applications such as Microsoft Excel and Word. Its wide range of analysis tools (graphic displays, OLAP cubes that allow you to analyse, predict and simulate information more accurately, and web-based distribution options) and reporting tools, enable you to make well-informed and reliable decisions quickly and easily. With Microsoft Dynamics NAV, you gain greater visibility into how your business is performing, allowing you to increase the productivity of your employees and processes, respond more quickly to a changing marketplace and significantly reduce your IT costs. Would you like to set up an extranet, an e-commerce website, an intranet? With Microsoft Dynamics NAV and the .NET Framework, you can access your ERP data easily and securely using existing management and system validation rules.